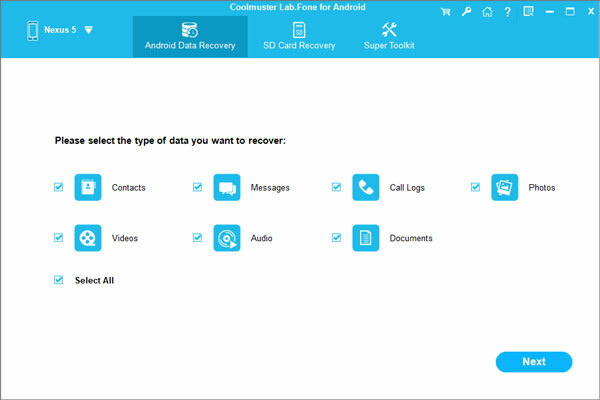 Home > Resources > Recover Android > Xiaomi Data Recovery Software - How to Recover Deleted Data from Xiaomi? Xiaomi has been a popular Android brand in smart phone market, which is well-received to young people for its high capability and beautiful price. However, what can you do if you lost some important data on your Xiaomi? Especially you have no time to backup your phone when facing data loss by accidental deletion. Please follow the tips as below, you still have chance to recover lost data with Xiaomi data recovery software. If you lost data without backup, you can recover deleted data with professional software mentioned in Part 1 and Part 2. If you have backed up your Xiaomi, you can try free ways mentioned in Part 3. 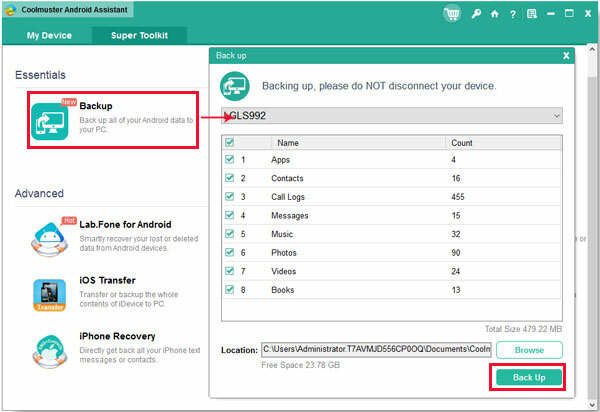 In Part 4, we recommend an Android data backup tool for you to backup your phone to computer at daily time. To use Xiaomi data recovery software for files recovery, you need to make sure that do not write new data to the memory card, that means you can not use your phone in order to keep it in the original state. If the space of deleted data was overwritten, you may not retrieve your lost files anymore. Besides, you can turn off the Wi-Fi/ mobile data network to avoid automatic update and protect the memory card from physical damage. Commonly, data loss issues are caused by OS update & accidental deletion. In this case, you have no time to backup your Xiaomi. 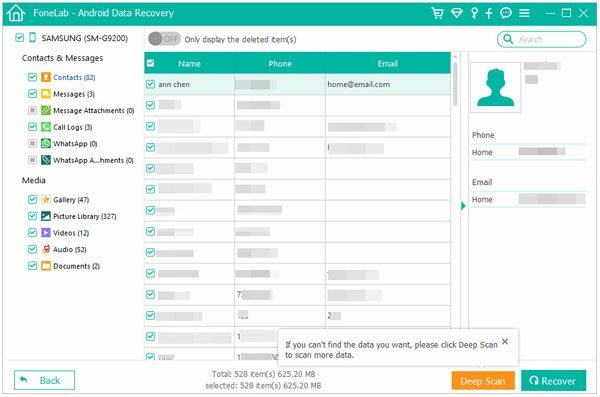 Thankfully, you can still get the lost data back with Xiaomi data recovery tool - Samsung Data Recovery. Samsung Data Recovery is one of the best professional Xiaomi data recovery tools. With it, you can restore Xiaomi deleted files, lost and formatted data. Accessing to Micro SD card, SIM card and internal storage, this program can retrieve all kinds of data. 1. Retrieve music, videos and pictures from SD card without loss (without root). Step 1. You can launch the program and connect your Xiaomi to computer via a USB cable under the "Android Data Recovery" mode. 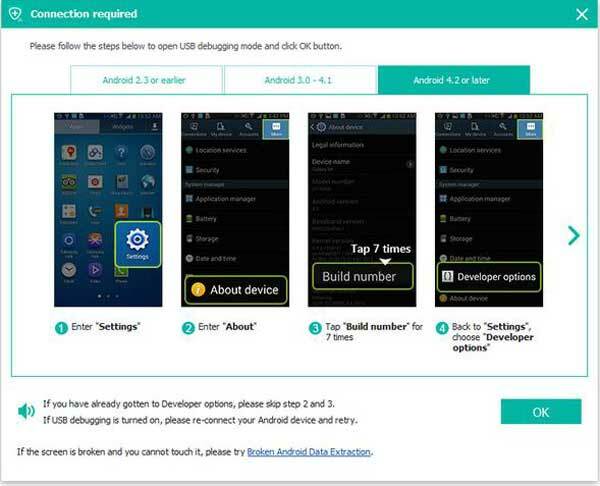 You need to enable USB debugging on your Xiaomi. Once your device is detected, you enter the main interface. The program supports all Android phones with operating system versions from 2.0 to 9.0, such as Mi 8 Pro/ Mi 8/ Mi 8 Lite/ Mi max 3/ Mi A2/ Redmi Note 6 Pro/ Samsung Galaxy S9+/ Galaxy Note9, HTC U12+/ U11 EYEs, Motorola z3/ z2 play, LG Q7+/ Q6, SONY Xperia XZ2 Premium/ Xperia XZ2 and so on. If you do not want to root your phone, you can choose another Xiaomi data recovery tool - Android Data Recovery to restore deleted Xiaomi files to computer selectively or completely. With it, you can restore data from SD card, internal memory and SIM card (subscription needed). It supports contacts, messages, call logs, music, videos, photos, documents, WhatsApp messages and its attachments. Step 2. Launch the program and connect your Xiaomi to computer via a USB cable. Please enable USB debugging on your Xiaomi as the guidance on the interface. Step 3. Once Xiaomi device is detected well, the program will scan your phone automatically and finally give all recoverable files on the interface. You can select one folder or all the folders and click "Next" to preview the data. Step 4. Select the files you wish to retrieve to computer, tap on "Recover" to export them to local folder. It supports many brands with Android OS from Android 2.3 to Android 8.0, including Mi 6/ Mi 5s Plus/ Mi 5s/ Mi Mix/ Redmi Note 5 Pro/ Redmi Note 5/ Samsung Galaxy S8/ S7/ Galaxy Note8, Moto Z2 Play/ Moto Z, HTC U11, Sony Xperia X, LG Q8, Huawei P10, Xiaomi Mi 6 and so on. If you are used to backup your Xiaomi at daily time, you deserve a pat on the back. You can restore the deleted data from backups with these Xiaomi data recovery tools easily and freely. But you can not get back the files which have not been backed up. Here are the free ways to restore Xiaomi files. If you have synced your phone to Google account, you can get the deleted files back with it. Here are two situations to recover deleted data from Xiaomi with Google Drive. Step 1. Download, install and launch Google Drive on your Android phone. Step 2. Select the data from the uploaded files, you can open the folder to preview the detailed items and click "Download" to restore them to your Xiaomi. Mi Cloud works similarly as Google Drive and iCloud. It offers 5 GB storage for Xiaomi users to store their files safely. 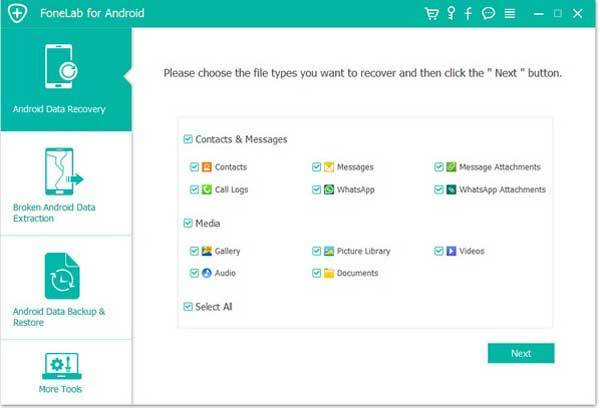 You can get your lost data back if you backup your phone to Mi Cloud. Step 1. Log in Mi Account on your device, click "Products" > "Mi Cloud" > log in your account. Step 2. Select the files you wish to restore and download them. Xiaomi Backup App has been built in your device. If you backup your phone with it, you can restore data in this way. You need to run the Backup App on your Xiaomi, select the files you want to get back and simply click "Restore". Even though you can retrieve the lost data from Xiaomi data recovery software without backup, it is really a need to backup your Xiaomi frequently at daily time. Because you can lose the chance to retrieve data without backup if overwrite the data carelessly. The security of private info is considered the top priority. We recommend to backup your Android phone with professional software - Samsung Messages Backup. Step 1. Run the program and connect your phone to computer. A screen shown below will appear on your computer to let you enable USB debugging. Just follow the prompts to go on. Once your Android phone is detected successfully, you can see an interface as following. 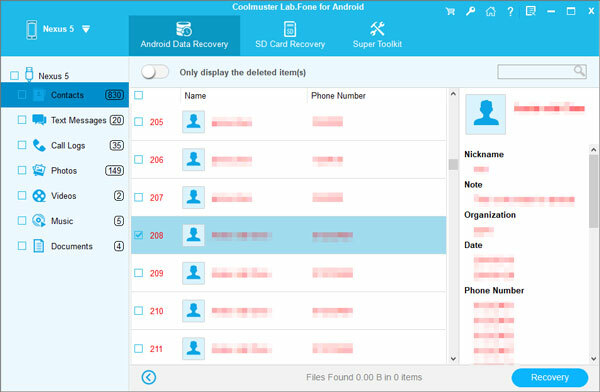 The files of your Android phone are listed on the left. Step 2. Please go to the folder and select the detailed items to backup them from your Xiaomi. You need to select a folder on your computer to locate the data you exporting. After that, you can check your backups on local folder. What's more, you can print your exported contacts and messages. Besides, you can backup your Xiaomi wholly by one click, please go to "Super Toolkit" > "Backup" > choose the location and click "Back Up". The program supports almost all Xiaomi phones, including POCOPHONE F1/ Mi 8 Pro/ Mi 8/ Mi 8 Lite/ Mi max 3/ Mi A2/ Mi A2 Lite/ Mi 2S/ Mi Mix 2/ Mi A1/ Mi 6/ Mi Note 2/ Mi 5S/ Mi 5S Plus/ Mi Max/ Redmi Note 6 Pro/ Redmi 6/ Redmi 6A and other Android phones like Samsung, Huawei, HTC, LG, etc.